Mental training to take you to the next level. 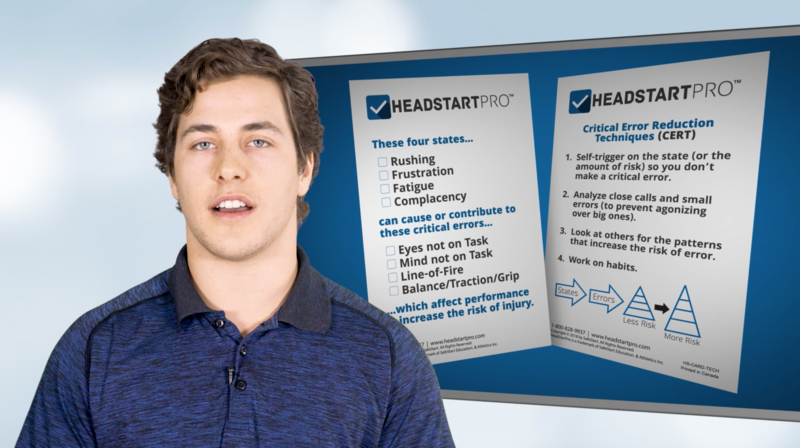 In the HeadStartPro Athlete Course, you will learn how to manage the internal and external distractions that can take you out of the moment. Often, when an athlete makes a performance error in a practice, game, or competition, it is not due to a lack of skill but due to a lapse in focus. 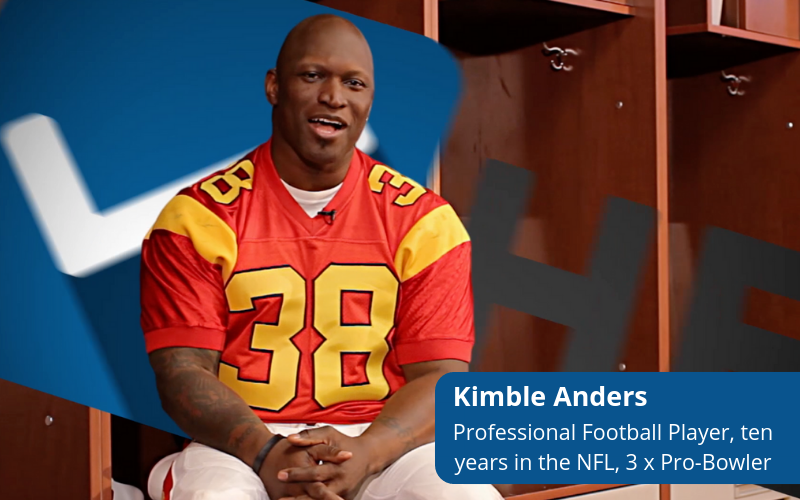 In this course, you will learn about the four mental and physical states that can take athletes out of the moment: rushing, frustration, fatigue, and complacency. These states can negatively affect performance and increase the risk of injury. You will learn how to manage the four states with our 'critical error reduction techniques' and a set of mental training tools. 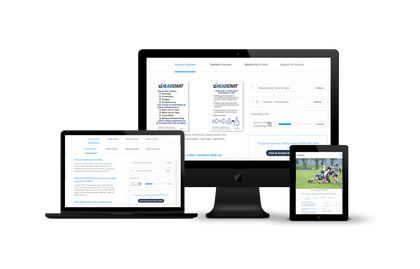 The HeadStartPro Athlete Course consists of video lessons, HeadStart Stories from amateur and professional athletes, and workbook-style reading. There are quizzes along the way and a final exam to test comprehension. At the end of the course you will have a new set of skills, tools, and techniques to enhance performance and prevent injuries. Hunter Visser is a former World Cup Halfpipe skier who came to the world of performance and safety-education after sustaining a career-ending concussion. Since retiring from skiing competitively, Hunter has spent his time developing performance and safety curriculum for athletes and students of all ages. Hunter began learning about mental focus and the importance of presence-of-mind as a high-performance athlete. After sustaining multiple severe injuries during his skiing career, Hunter understands what it takes to ‘bounce back’ and how important it is to keep focused in the moment to prevent an accident. In his spare time, he finds himself at home in the mountains, on his skis, mountain bike or snowmobile. As an avid yogi and musician, Hunter uses HeadStart as a simple tool to share his passion for mindfulness with coaches and athletes.